Pawan Meets Mayawati: What’s Up! Power Star Pawan Kalyan, who is known for his sudden decisions, has surprised all by flying to Lucknow, Uttar Pradesh. Pawan on Wednesday morning along with Nadendla Manohar, few Janasena Party representatives, students and educationalists of Osmania University flew to Lucknow. 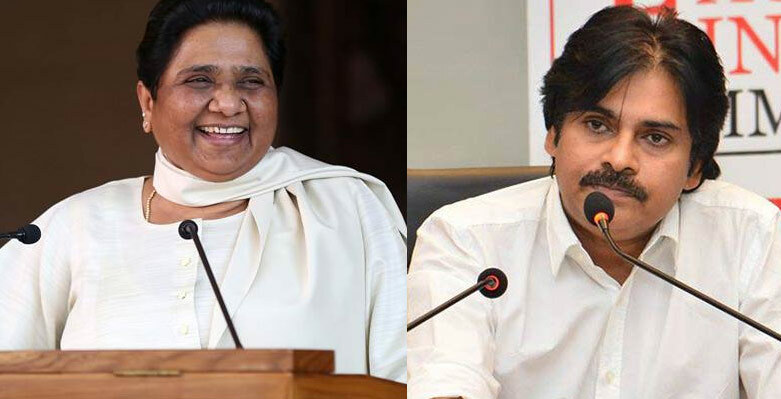 Sources reveal Pawan Kalyan went Lucknow to meet BSP chief Mayawati. Since the name of Mayawati is fast emerging as the consensus PM candidate from the opposition, Pawan decided to meet her and discuss the national political scenario at present and how to face the upcoming elections across the country in 2019. Pawan Kalyan is expected to meet various opposition party leaders in Lucknow. Pawan's sudden decision surprised political rivals like AP CM , TDP chief Chandra Babu Naidu and YSRCP president Jagan Mohan Reddy. Mahesh Babu Not Against Muslims!